2014 is set to be another great year for J Davidson. As well as continuing to be the place to come for all your scrap metal recycling and scrap car recycling needs, we have some other exciting projects in the pipeline. The highly anticipated unveiling of our new truck is set for March 2014. The Volvo FH16 750 will be airbrushed in a new, top-secret design. People have been guessing on Facebook and Twitter as to what the new truck may be, but nobody’s got it right yet, so why not make a guess yourself? Keep your eyes peeled on the roads for our new truck and our other iconic trucks, The Terminator, James Bond, Iron Man and Burnout. The sponsorship of local sports teams and sports stars is a cause close to our hearts here at J Davidson and is something we will be maintaining in 2014. We will continue to be the main club and stadium sponsor of Altrincham Football Club, as well as sponsoring Manchester Phoenix Ice Hockey Team, a number of drivers from Formula 1 and 2 Stock Car Racing, Altrincham Kersal RFC and up and coming golfer, Michael Lane. We also have a series of new merchandise due out soon, including caps, mugs, umbrellas and T-shirts, all bearing the mark of the J Davidson brand – watch this space! 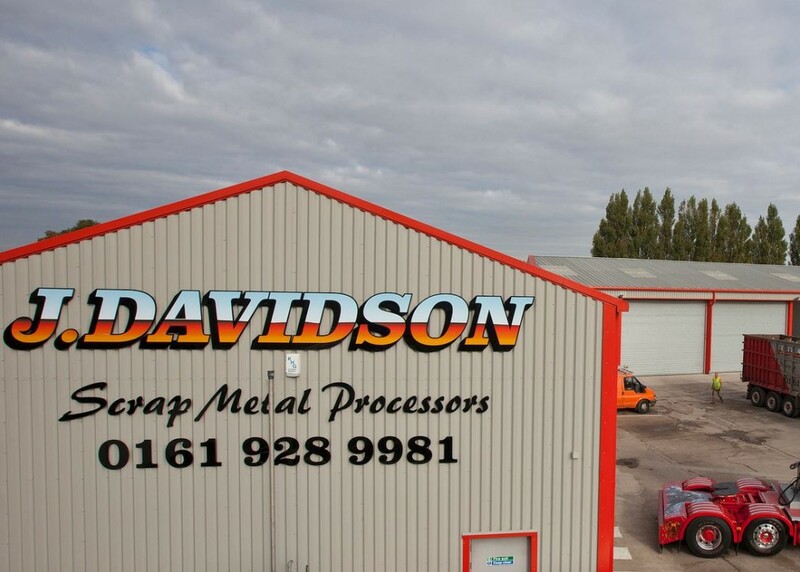 As always, we will be offering the best prices for scrap metal and scrap cars, so if you’re looking for somewhere to provide you with scrap metal recycling, then visit our Scrap Metal website or call us on 0161 928 9981 for more info. This is just the beginning and we’re sure to have many more thrilling announcements to make over the course of the year. For all the latest J Davidson news, like us on Facebook and follow us on Twitter and Google +. This article was posted in Scrap Metal, Scrap Metal in Manchester. Bookmark the permalink. Follow comments with the RSS feed for this post.Both comments and trackbacks are closed.